ACBE SecurityMatters Consultancy Services, the publisher of SecurityMatters™ Magazine, is committed to maintaining the privacy of your information. Any information SecurityMatters will collect from its visitors shall be used primarily to give the site’s editors and administrators an idea of what people are looking for, and how our visitors use the site. Any information you provide, such as your name and email address, for subscriptions or correspondence, will only be used for the intended purpose. We collect personal identification information from users in a variety of ways, such as when users visit our site and subscribe to our newsletter, send feedback, or post comments. We collect non-personal information about users whenever they interact with the site, for the purpose of analyzing the traffic the site generates. Non-personal identification information may include the type of browsers used to access the site, the type of computer or device, and what kind of operating system. Please note that this type of information cannot be used to identify individual visitors. To improve the website. Information, such as the list of pages most frequently visited, and the type of technology used to access the website, may help the site handlers determine which aspect of site development or content creation to prioritize. Feedback from users sent via social media or email may also be used for such purposes. One leaving this site, you may find yourself in another with privacy and user policies that deviate from this one. We encourage you to likewise take the time to read their site policies. For more on the subject of data privacy laws in the Philippines, we recommend that you familiarize yourself with the Data Privacy Act of 2012. 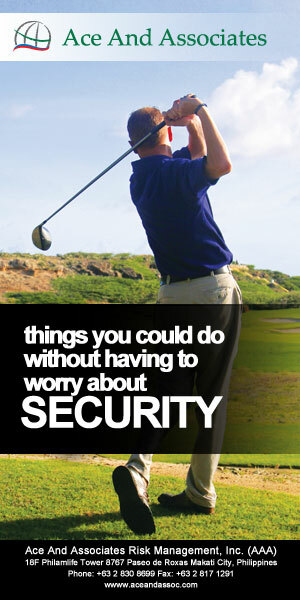 If you have any questions please contact us: info@securitymatters.com.ph.